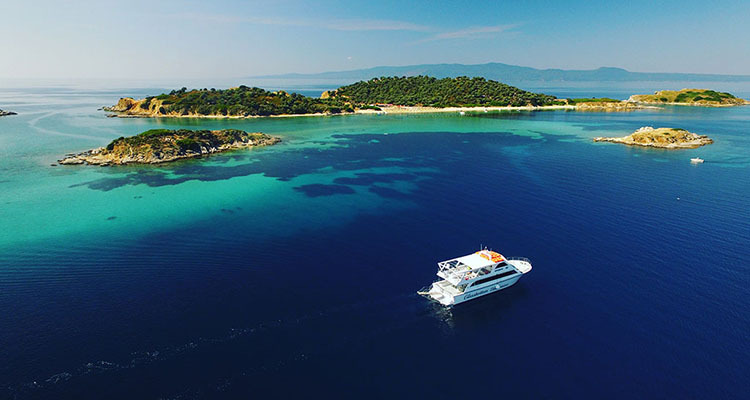 The EIRINIKOS GLASSBOTTOM vessel starts its cruise at the port of Ouranoupoli’s and heads out to the Ammouliani islets, also known as Drenia (Donkey islands). We take a close look at the famous yellow corals above Ouranoupoli’s reef, thanks to the glass bottom keel of the ship and after that we arrive at the small, unexplored and uninhabited islet complex known as Drenia. Snorkeling equipment and swimming toys included in the price!